Hiring and training IT professionals is costly. 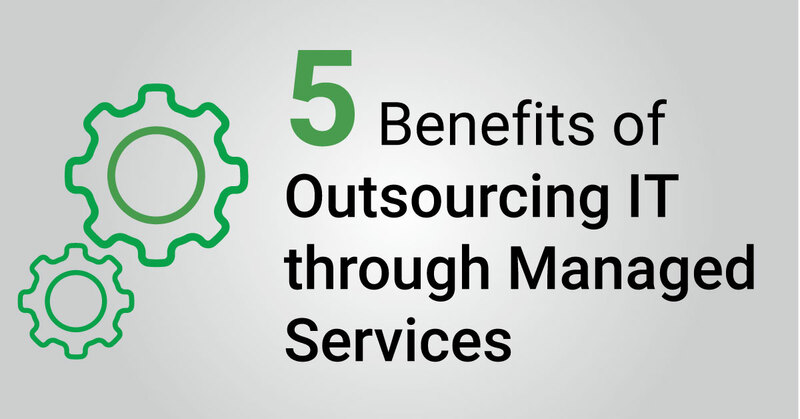 Outsourcing IT to a Managed Services company lets you pay for only the IT support you need. You control IT costs while developing a long-term relationship with a company that knows your IT infrastructure and understands your business. An established IT Manage Services company will have knowledge and experience spanning a wider range of potential issues and solutions than an internal IT department. When faced with new issues or projects, a managed service company can leverage their varied experiences to quickly provide tested and proven solutions. Every employee looks forward to taking their leave, including those in IT. By utilising a Managed IT Services company, you can ensure that someone is always there to meet your IT needs. Companies that invest significantly in internal IT departments oftentimes spend heavily (both in time and capital) for research, development and implementation. Inevitably, these costs are passed on to the consumer. A Managed IT Services company can dedicate the time and resources necessary to successfully complete projects quickly, delivering great value to consumers and keeping your business competitive. Industry technologies, regulations and best practices are constantly changing. Outsourcing IT to a Manage Services company, shifts a lot of responsibility, especially regarding compliance and security away from your business reducing risk. If you need assistance with managing your IT infrastructure, Epic Technologies offers a range of Managed IT Services. We specialise in: IT Infrastructure Management and User Support, Server Management, IT Infrastructure Audit and Vendor Management. Learn more about Epic’s Managed IT Services here. Jefferson Daley is the Marketing & Sales Manager at Epic Technologies.